Have you always wanted to play the harp? Would you like to know more about the history and traditions of the ancient instrument of Ireland and the Scottish Highlands? If so, now’s your chance! ITMA is hosting The Historical Harp Society of Ireland’s Early Irish Harp Discovery Day on National Harp Day on 20 October, to showcase the ancient wire-strung harp. 1.00 pm: Lunchtime recital by Siobhán Armstrong, Ireland’s foremost performer on the early Irish harp, with the prize-winning singer, Eibhlís Ní Ríordáin. 2.00 pm: Illustrated talk given by a world expert in the field, Simon Chadwick. 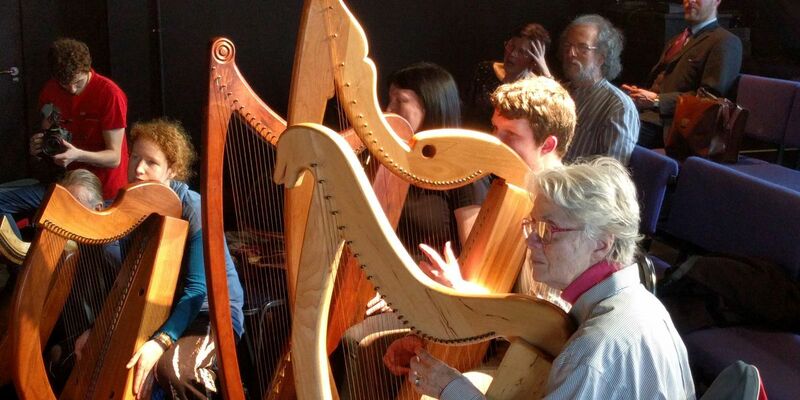 3.00 pm: Hands-on beginners’ workshop using copies of early Irish harps in the National Museum of Ireland. Places are limited on the workshop, so please pre-book. Concert tickets are also available at the door.